Hanging chair has become a craze now a days. Breath taking designs and styles with unbeatable quality are perfect to boost the interior decor of room or outdoor living space. A wide range is available in the market. Some types can be hung outdoors in the garden space and some can used in the balcony or even in the sitting area. Jute Hanging chairs are designed in such a way that guarantees extra strength stitching. The seat is also available with high comfort level. It can be easily reclined and maintained its position. This type of jute hanging chair is an ideal combination of design and durability. Stylish looks of these jute hanging chair makes it ultimate to enhance the beauty of the establishments. On the other hand, ergonomic designs make them suitable for every age group, be it children or an old age person. It is very easy to clean and maintain a hanging chair. Its highly durable features ensure long lasting excellent usage with no wear and tear. Light in weight yet strong, jute hanging chair gives the user unmatched relaxation experience. It is a fun to get relaxed using it. Its compact structure saves the spaces. Hanging these chairs is very easy and convenient. It hardly takes less than an hour to hang it with proficiency. It can be easily hung from nearly anywhere. 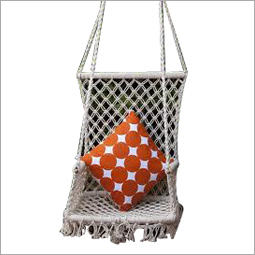 All the jute hanging chairs are available with the instructions of hanging promptly and easily. The method is always the same, but depending upon the location, the material may change. One can simply visit a online b2b portal and shop for such jute hanging chairs. Online portals provide best deals for customers so that they can own a hanging jute chair for their interiors, balcony or garden, without shedding a lot of money.